CMI is delighted to announce the arrival of its latest two acquisitions in Kazakhstan. 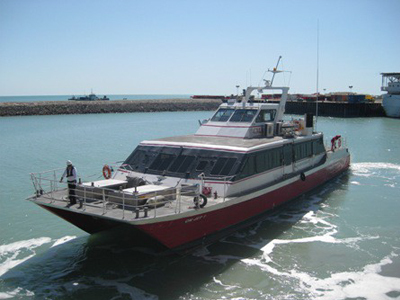 The CM Jet 1 and CM Jet 2 were purchased from Red Funnel Group in the UK and are high speed ( 36 knot) catamaran passenger ferries each capable of carrying 140 passengers. 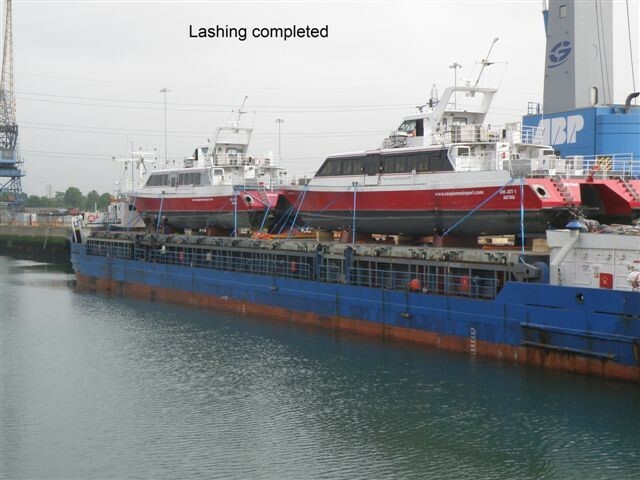 These vessels were loaded on a cargo vessel in Southampton where they previously operated under British flag and transported to St Petersburg for onward shipment to Kazakhstan where they will operate a service carrying offshore personnel from Atyrau to and from the offshore Kashagan Field. 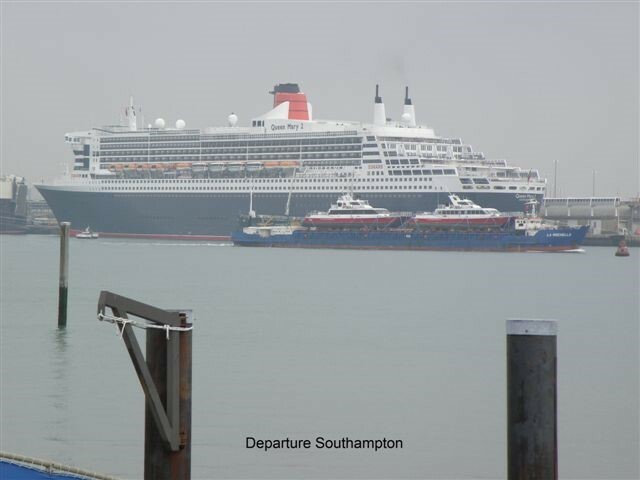 A major upgrade took place in Southampton before departure and the pictures below show the loading and the departure as the cargo vessel “MV La Rochelle” passes the Queen Mary 2 in Southampton.